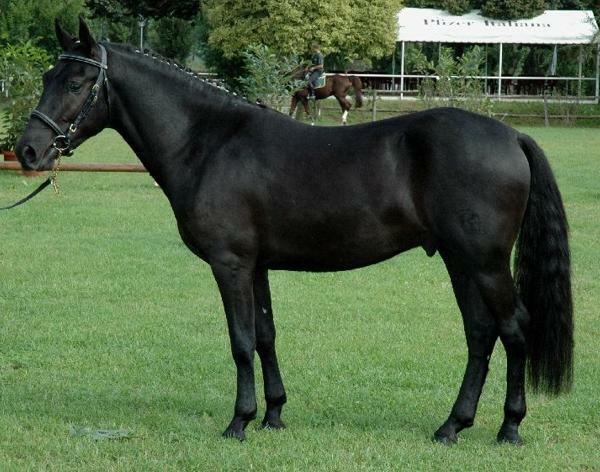 This pony comes originally from Lazio, (the Monti Ausoni and Monti Aurunci area, bridging the provinces of Frosinone and Latina). It was called the “Pony of Esperia” after the Baron Ambrogio Roselli di Esperia who undertook its selective breeding. In the past it was used for carrying light loads and for its meat. It was only in 1962 that it was officially recognized as a distinct breed and after thirty years it was added to the official register at the “Associazione Provinciale Allevatori di Frosinone” (Association of Breeders in the Province of Frosinone). These are wild horses, but once they are trained they show an equable temperament in the company of adults and children and are suitable for use in riding schools. This breed can forage on very poor land and survive in very dry and barren conditions, going without water for long periods.